Thirty Four (34) eager Boilermaking apprentices arrived last week at the Newcastle Training Centre to commence with the Boilermaking training for the Centre for Specialisation project. The realisation that South Africa must focus on technical skills in order to improve the economy has led to the rolling out of a new programme at the Newcastle Training Centre (a Campus at Majuba TVET College). 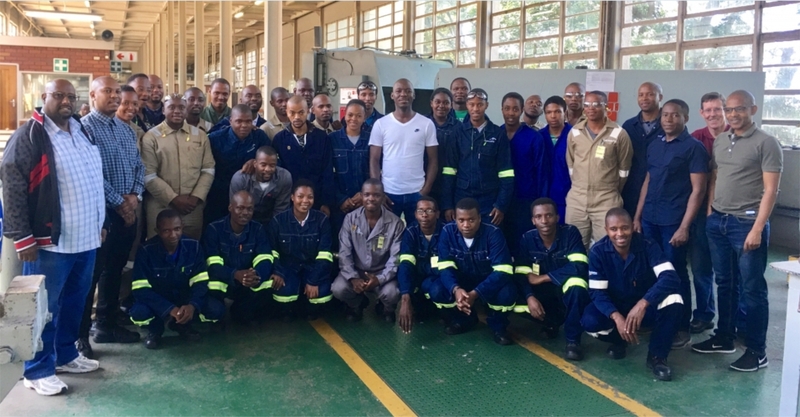 Majuba TVET College was proud to recently announce that it was recognised by the Department of Higher Education and Training (DHET) as a Centre of Specialisation for Boilermaking in the KwaZulu-Natal Province. The College is one of 26 Centres of Specialisation in the country. Majuba TVET College has partnered with the following employers from KwaZulu-Natal to provide training for their Boilermaking apprentices: Arcelor Mittal (Newcastle); Dormac Engineering (Durban); Elinem Construction (Newcastle); Slater Coal Mine (Northern KwaZulu-Natal); and Bell Equipment (Durban). There will be close interaction between the College and employers throughout the training, with workplace schedule setting the tone. The programme is the result of a public-private partnership between the Department of Higher Education and Training, and business associations from the private sector. The Centre of Specialisation model sets out to further motivate industry stakeholders and employers across both the public and private sectors to partner with TVET Colleges to build a quality apprenticeship system. Through these partnerships and the quality of vocational education and training provided, the DHET hopes that society’s confidence in the TVET sector will grow and they will become both institutions of choice for students and partners of choice in training for industry employers. 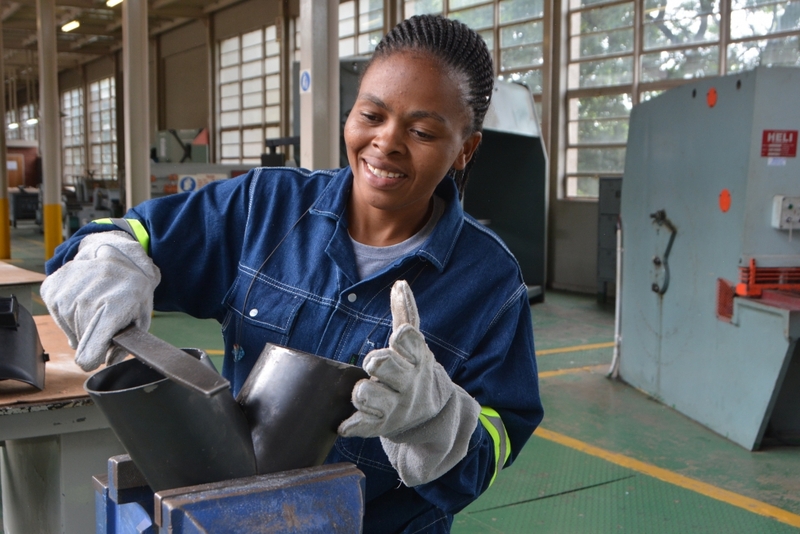 Zama Kubheka, a Boilermaking apprentice, who hails from Estcourt is very excited to commence with the training and feels privileged to be a part of the Centre of Specialisation project. As an artisan of the 21st Century, she promises that she will put in all the effort required to become one of the best artisans in the country’s workforce. Majuba TVET College is committed to the Centre of Specialisation project with the future goal in mind of becoming the leading Centre of Excellence in Boilermaking in the country. To capacitate TVET Colleges to deliver on Occupational Programmes. Provide artisans for Strategic Integrated Projects (SIPs). Provide quality 21st Century artisans for industry. Foster close cooperation between industry and TVET Colleges. Provide an environment for employers to influence curriculum at TVET College. Employers used their own rigorous selection criteria to choose the best apprentices to train in the pilot project.